Other hybrids: Consider the Toyota Auris hybrid priced at R403 400. It's not as spacious as the Prius, but it offers 100 kW and 142 Nm of torque. The Lexus CT 200h comes in at R484 500, also with 100 kW and 142 Nm of torque on offer (from the same engine as the Auris Hybrid). For something bigger and more upmarket, you can consider the Infiniti Q50 S Hybrid priced at R669 700 with 261 kW and 536 Nm. Similarly, the Lexus 300h EX offers 151 kW and 213 Nm and is priced at R599 800. Similar-sized fuel-sipper: The Volkswagen Golf SV is similarly packaged to the Prius and is a very practical vehicle. The top-spec 2.0TDI Comfortline automatic derivative is priced at R402 700, produces 81 kW and 250 Nm of torque and is claimed an average of 4.6 L/100 km. 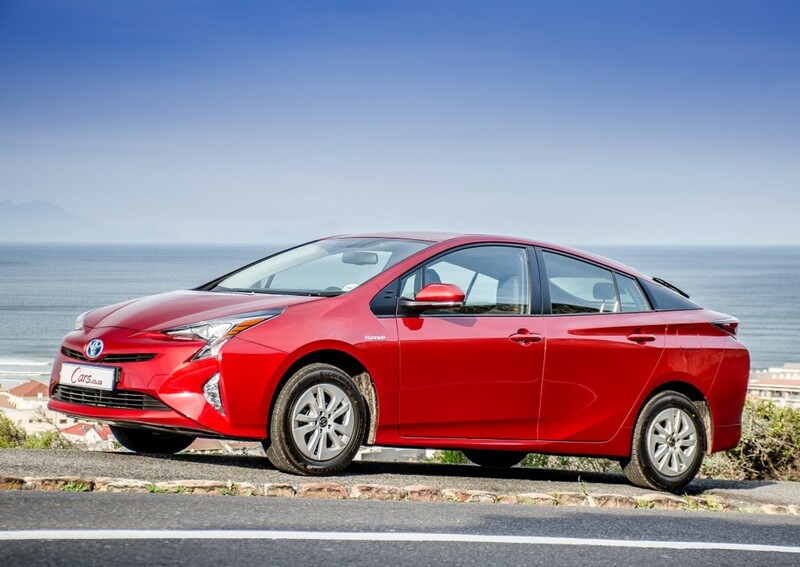 The new Toyota Prius is a vastly improved product with notable improvements in fuel consumption. The second-generation Prius was the first hybrid vehicle to hit the local market way back in 2005, but whereas the Toyota has been very successful in some foreign markets, it has never really taken off in South Africa – similar products from marques such as Honda and Lexus sell in small numbers too. 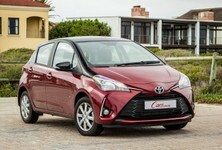 Let’s face it, hybrids aren’t particularly popular in South Africa because of consumer ignorance (although that is gradually changing as more petrol-electric cars join the market), they're less effective outside of congested urban areas and consumers generally struggle to match the cars' claimed fuel consumption figures. Meanwhile, major improvements in petrol and diesel technology eg. 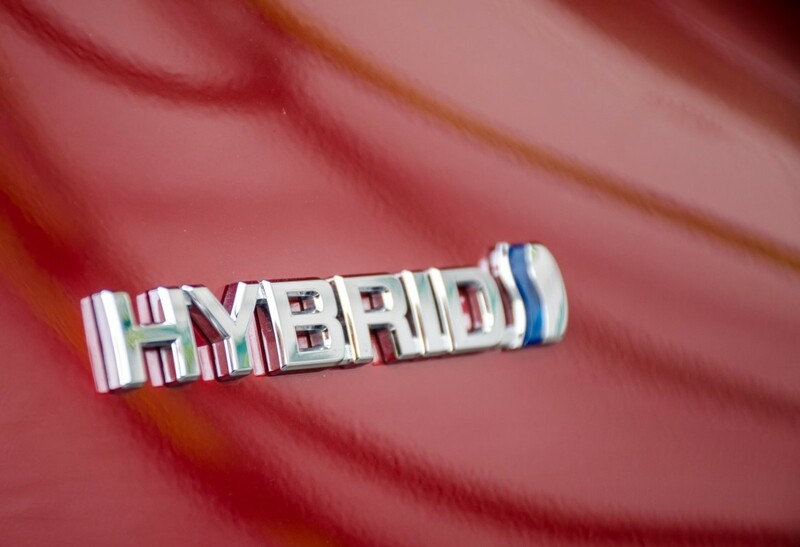 "downsizing" has made it easy to overlook hybrids (such as the Prius) and, unfortunately, the “awkward-looking and boring treehugger's car" stigma remains. However, with the introduction of the latest Prius, Toyota has gone to great lengths to challenge perceptions and prove a Prius can be a fun-to-drive practical family car. 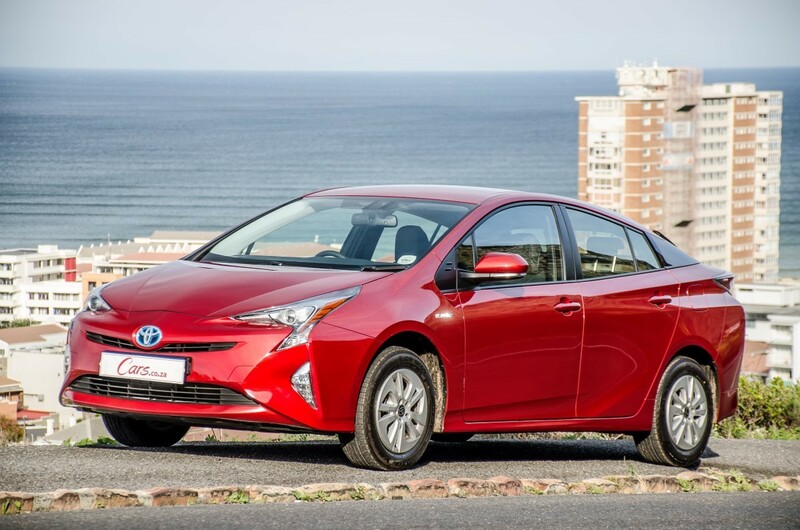 We recently had the new Prius on test to see if it delivers beyond general expectations. 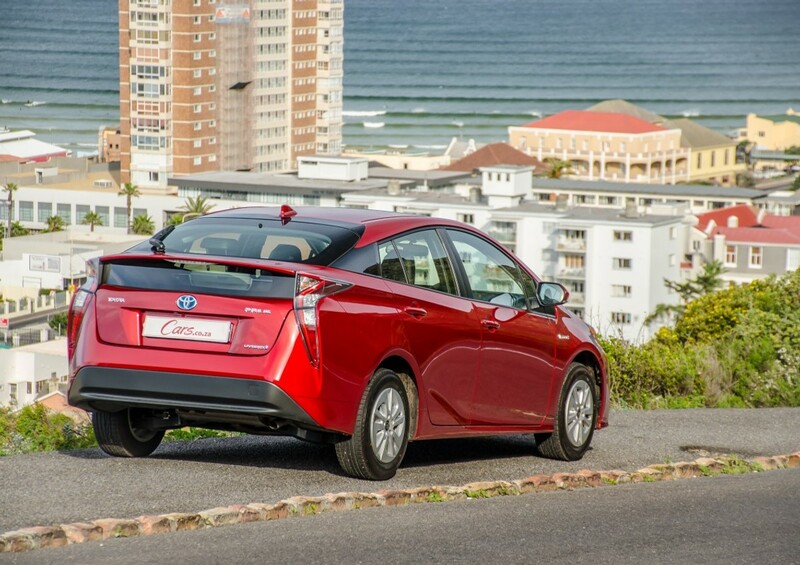 The Prius exhibits sharper and sportier styling compared to its predecessor. 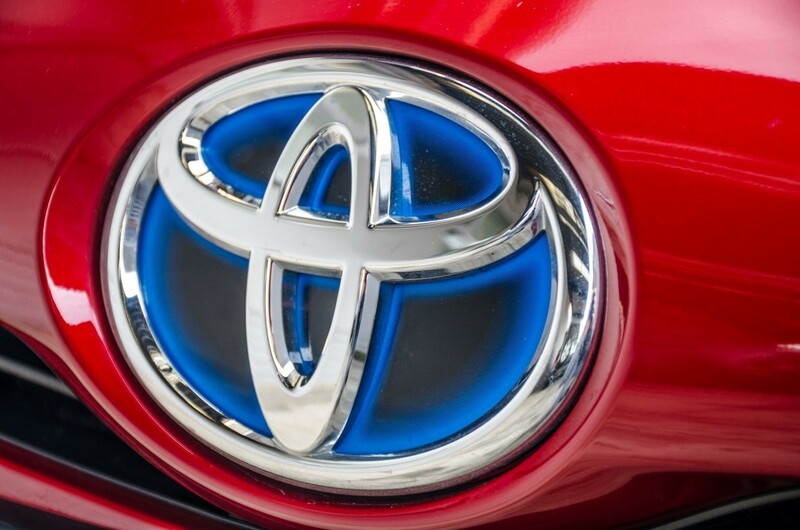 Toyota has infused some positive changes to the latest Prius to make it appear more attractive and “athletic” while retaining its instantly recognisable silhouette. Built on the Toyota New Global Architecture (TGNA), the Prius is longer and wider than its predecessor and sits 15 mm lower, enabling it to slice through the air more efficiently. Slim headlights and angular lines give the Prius a striking, modern appearance while 15-inch alloy wheels, in conjunction with a wider track, offer better road-holding. 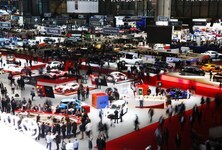 The interior has a futuristic, airy feel to it. The integrated heated leather-trimmed seats look sporty and are particularly comfortable to sit in. Contrasting white trim on the steering wheel and the expansive centre console also add much-needed zest to an otherwise dark cabin. In the looks department then, the Prius is certainly more attention-grabbing than before and its fresh styling also enhances overall aerodynamic performance to improve efficiency. 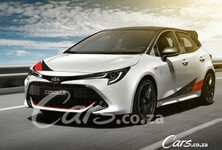 Styling is always a subjective matter and if you never liked the Prius, this latest version may just sway your opinion. Love it or hate it, the Prius' progressive styling should broaden its appeal. 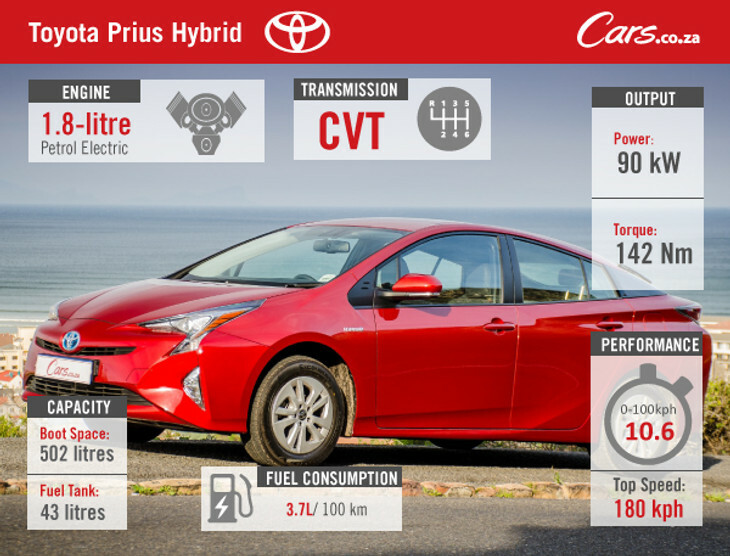 Low fuel consumption figures are easy to achieve in the new Toyota Prius. 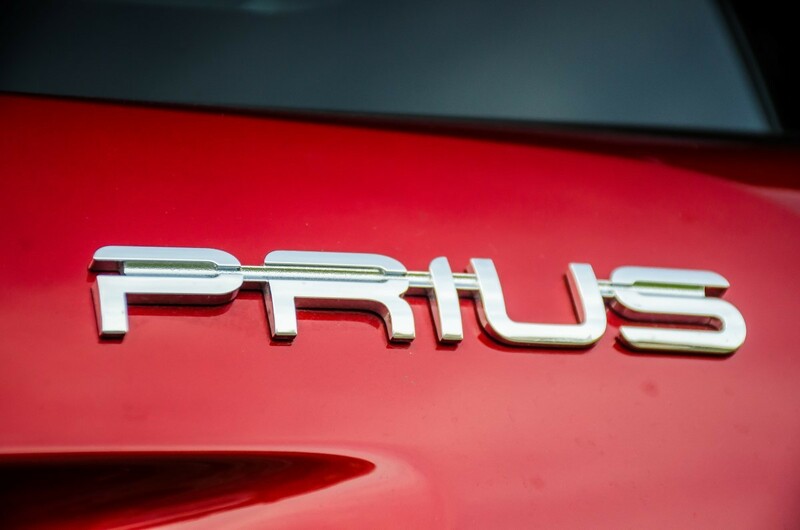 In an effort to improve efficiency and performance of the Prius, substantial changes have been made to its hybrid powertrain, which is now lighter and more compact. The 1.8-litre Atkinson cycle motor is carried over from its predecessor, but it’s been extensively revised to achieve better efficiency. The petrol engine works in conjunction with two lightweight electric motor-generators (one serves as a primary generator, while the second is a drive motor) and the total system (powering the front wheels through a CVT transmission) produces 90 kW and 142 Nm of torque. A revised and faster-charging nickel-metal hydride battery is stored beneath the rear seats and it’s able to store energy more efficiently than before. The Prius comes to life in total silence and when in reverse or travelling at low speed, the car runs in full electric mode. As the vehicle's speed increases, the engine kicks in and the motors take on an auxiliary role. 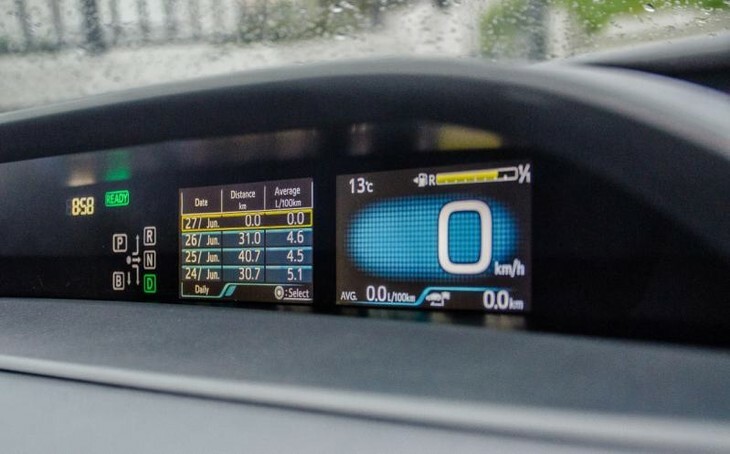 We found the Prius' EV mode particularly useful in heavy, slow-moving traffic conditions, but bear in mind that it can only be engaged at lower speeds and for short distances at a time (it all depends on the battery's state of charge). To get the most satisfying performance out of the Prius, a gentle and measured driving approach is required. With even, yet firm, pressure on the accelerator, the Prius builds momentum quickly and smoothly and it has no trouble keeping up with traffic flow or overtaking. 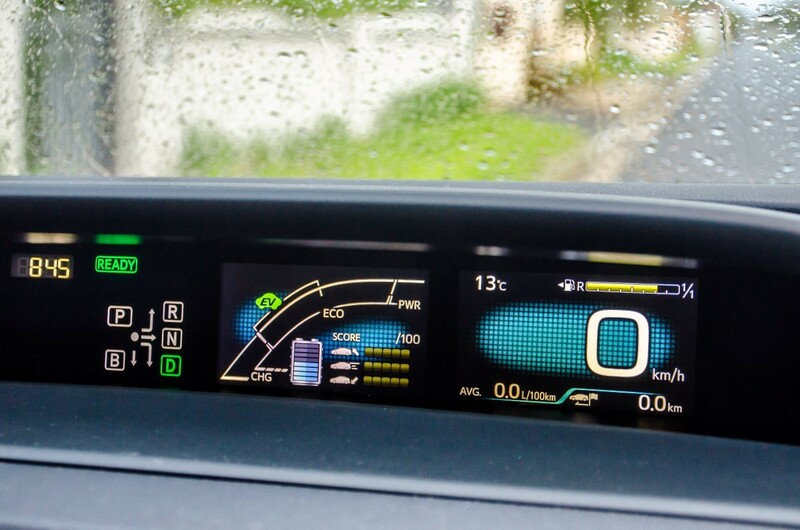 The driver can also select between three additional driving modes, including ECO (emphasises fuel efficiency), Normal (balances efficiency and drivability and Power (for quicker throttle responses). The Prius is not fast by any means, but it’s well suited for commuting within the city. How much fuel does the Prius consume? The answer will largely depend on you. In EV mode, no fuel is used, but with the engine engaged in most situations, consumption varies greatly depending on your driving style. Toyota claims 3.7 L/100 km and we averaged about 4.5 L/100 km (the lowest figure we achieved was an astonishing 2.8 L/100 km). Achieving low consumption figures is relatively easy in the Prius, providing you adapt your driving style... it can be fun to see how high you can raise the onboard ECO Score (out of a hundred). Ride quality in the Toyota Prius is good and it handles well in the corners too. The cumulative effect of the new rear (double wishbone) and revised front (McPherson strut) suspension, upgraded steering system and increased body rigidity is noticeably improved ride and handling characteristics. The suspension is supple and effectively absorbs the majority ruts and bumps in the road surface, while the steering wheel provides good feedback to the driver and the Prius feels relatively solid, confident and surefooted while cornering... it's not a sports sedan, but anything but a coach! The cabin is also well insulated and perceived build quality is good. Only a small degree of wind noise is noticeable when travelling at highway speeds; otherwise, the Prius delivers a smooth and comfortable drive and the heated leather driver's seat provides additional comfort on longer journeys. The mid-mounted rear spoiler does, however, impinge on rear visibility. 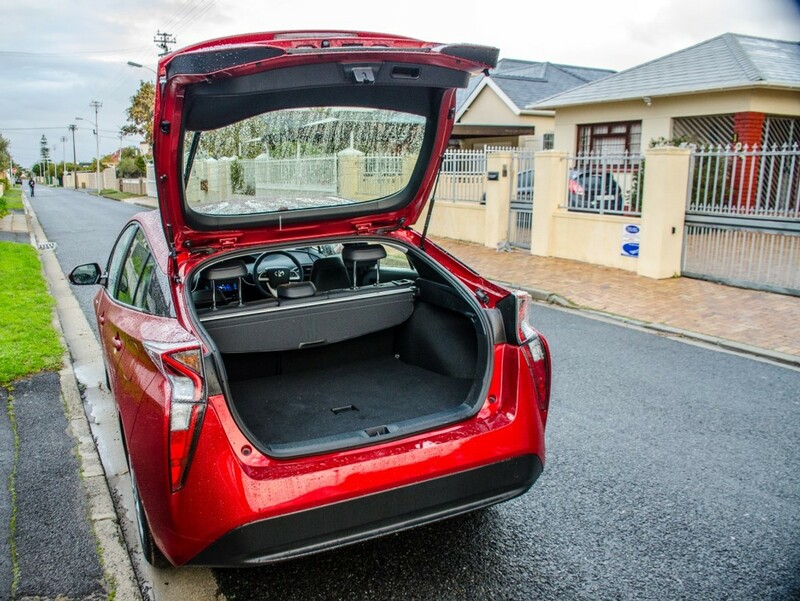 The Prius offers good boot space, which expands considerably with the rear seats folded flat. 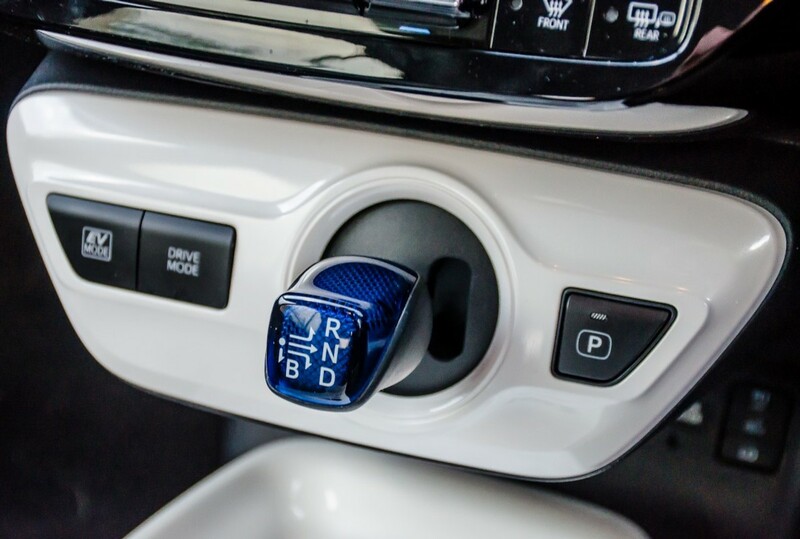 Stepping inside the Prius, you will notice a short, stubby drive lever positioned on the lower section of the dashboard. 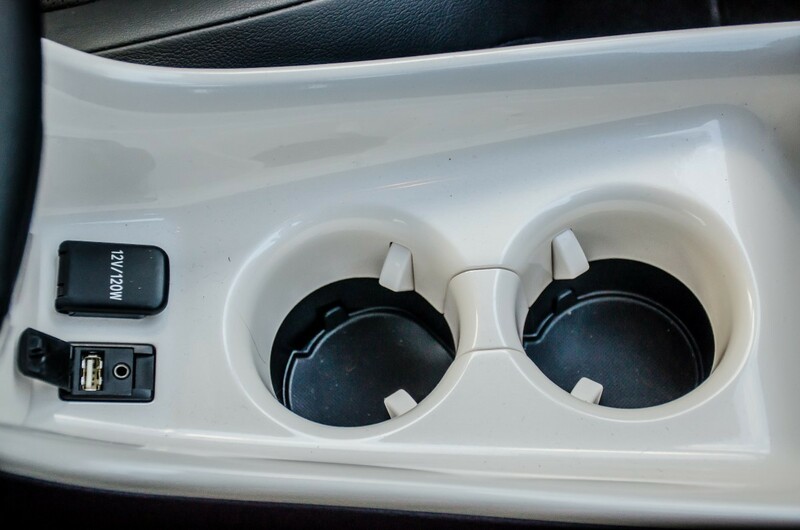 It may look awkward, but it frees up storage space below it, where you will find a large, white storage tray and two cupholders for the driver and front passenger. A USB port, auxiliary port and 12V socket are placed nearby for convenience. 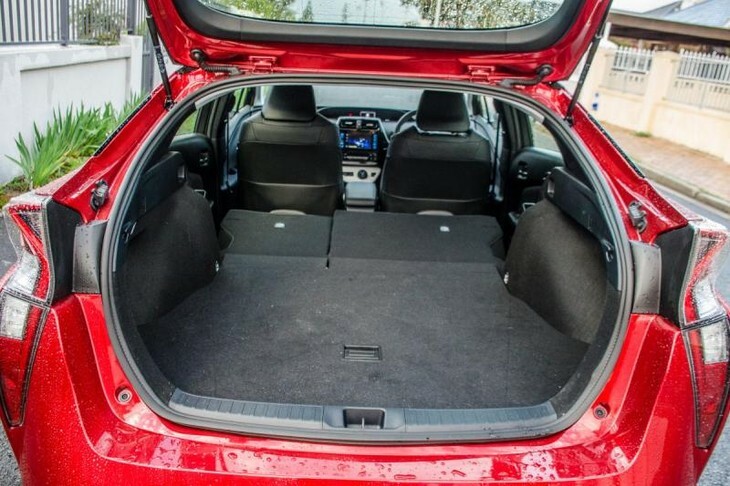 Buyers looking to purchase a new Prius will be happy to know that it offers ample space for rear passengers, making it particularly suitable for transporting a family. 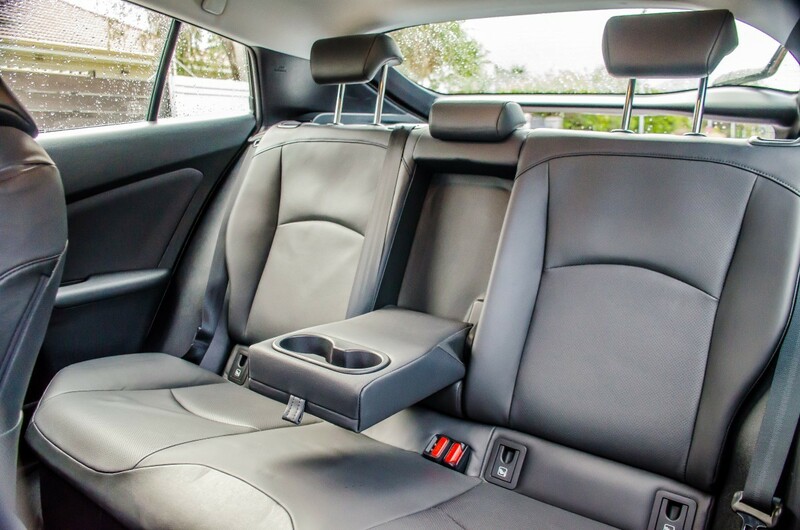 Leg-, head- and shoulder room is generous and the 60:40 split rear seat also features a central armrest with two cupholders. ISOfix mounting points are also present in the rear to secure child seats. The boot offers a sizeable 502 litres of space, which increases substantially with the rear seats folded flat. The boot aperture is wide and low making loading items easy. It must be noted, however, that the sloping rear windscreen does cut into the boot space, and with a flat boot floor, the area is longer, not taller. A full-sized spare wheel is found beneath the boot floor. 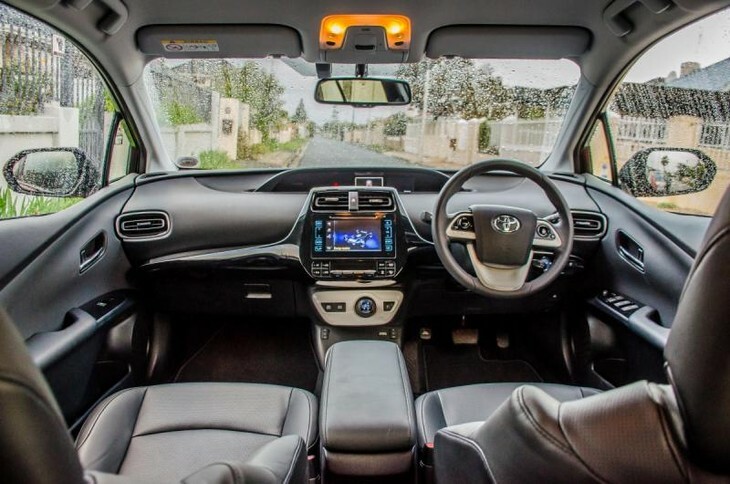 The interior of the Prius is modern and comfortable with a decent level of specification. The Prius is generously equipped with features. A 7-inch touchscreen has a sharp resolution and simple, intuitive design. It allows you to operate a number of onboard functions and is Bluetooth-compatible, but, unfortunately, navigation is not offered. Like most touchscreens, fingerprints are visible after excessive use; it will require regular cleaning. 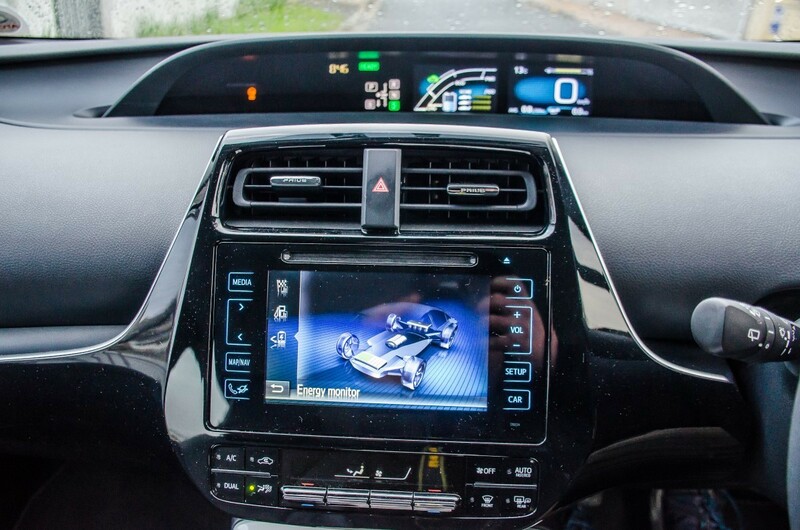 The top of the dashboard is home to a dual 4.2-inch TFT display that provides a host of useful information to the driver such as speed, fuel gauge, odometer, trip meter, fuel consumption, air temperature and so forth. A second display shows information pertaining to the hybrid system and also communicates driving tips to the driver to improve efficiency. The climate control air conditioning and media settings can also be adjusted on this screen via buttons on the steering wheel. A configurable head-up display and cruise control are also standard. The windows and side mirrors are electrically operated while the heated front seats are manually adjustable with electric lumbar adjustment for the driver. 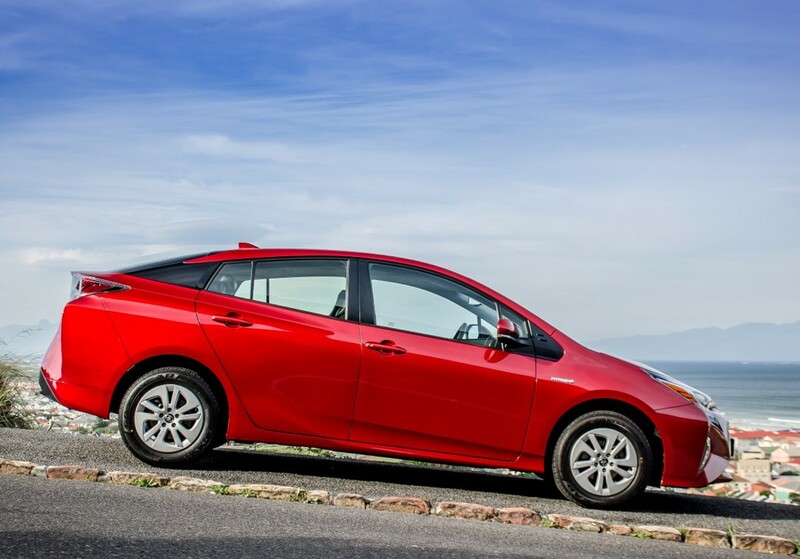 In terms of safety, the Prius is well equipped with seven airbags, ABS with EBD, traction control and stability control. A rear reversing camera is also fitted, improving safety when backing out of a parking bay. 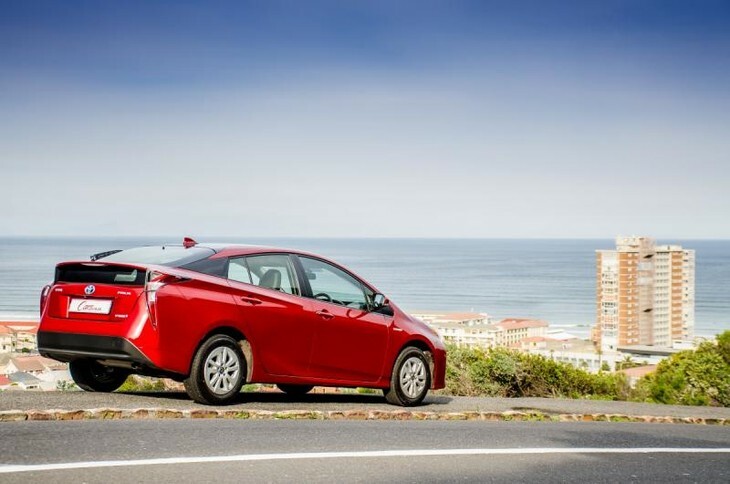 The Toyota Prius is priced from R427 200 and is sold with a 3-year/100 000 km warranty and 5-year/90 000 km. 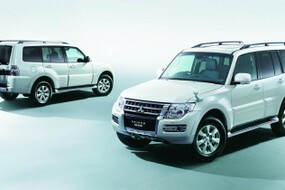 The hybrid battery carries an 8-year/195 000 km warranty. Service intervals are set at 15 000 km. 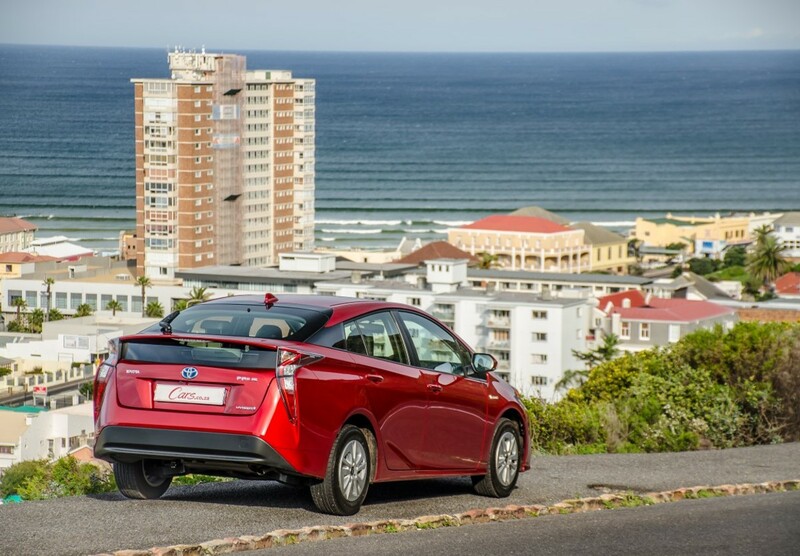 The Prius impresses with its refined on-road demeanour and spacious, comfortable and upmarket cabin. It’s a good overall product that's perfectly suited for life in the city and owners should be able to achieve relatively low fuel consumption figures on a daily basis. It may be efficiency-oriented, but it feels fun to drive and although not fast, it's not sluggish either. Despite this praise, the Prius’ price point places it among a host of other family-friendly products with strengths of their own. A wide range of practical and strong performing vehicles (sedans, crossovers, SUVs) are available at or below the Prius’ asking price. 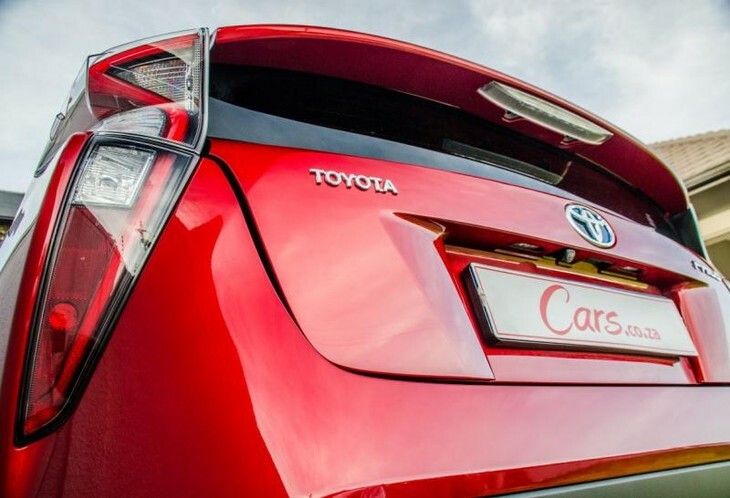 Excellent fuel consumption is a major reason for anyone to consider the Prius, but when you factor in the asking price, the benefits of burning less fuel become less pressing. Nonetheless, should you settle behind the wheel of a Prius, many comfortable and frugal kilometres lie ahead of you.